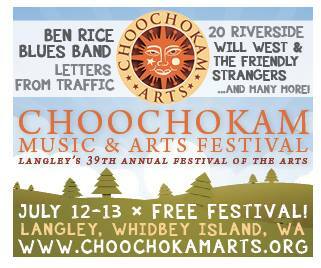 Fundamental Forces is continuing our 2014 summer festivals with appearances at this weekend’s Choochokam Arts Festival and a set at Hempfest in August. If you haven’t been out to Whidbey Island recently, it is well worth the day trip to Langley to catch part of the 2 day festival. In my view, there simply isn’t a more picturesque town than Langley in our beautiful state. Emily and I are even planning on heading up north through the incredible Deception Pass to pick some berries near Anacortes before returning to Seattle. As for Hempfest, well, you know the story there. Considering the State of Washington legalizing marijuana, and just recently opening the first recreational pot stores – I’m guessing it’s going to be quite the celebration! Our festival sets are always as a exceptional – so come check it out! This entry was posted in Newsletter, Performances on July 9, 2014 by Sunrise Pixels.